Home Life - I looked out the breakfast room window and saw my sweet husband, Randal, sitting on the grass surrounded by an array of tool containers and lubrication bottles. Reminded me of our son playing with his trucks, so I shouted out and asked, "Do you want me to bring out the backhoe from your room." He said, "No I've got enough right now." Randal had taken the Stihl String Trimmer apart and was trying to put it together. He actually had fixed it, but couldn't figure out how to put it back. He said, "I should've taken a picture." He did get it back together and it works just fine. Bear With Me On My Bear Mistake - You may remember in a previous issue my mentioning my friend, Charlene, in Northern California that has a lovely tract of land, called The Homestead where a lot of family gather. One of the family members decided to put out one of those cameras that shoots with movement and I included a photo of a Mama Bear and Cub and said it was a Grizzly Bear. I assumed this because of the color which was a shade of tan. She has informed me that it's a Black Bear and Cub. In Northern California Black Bears come in all kinds of colors. I was quite shocked. Had no idea. East of the Great Plains, nearly all are black, but in Western states with mountain meadows and more open park-like forests, over half the Black Bears are brown, cinnamon, or blond. Light colored fur reduces heat stress allowing bears to feed longer in open, food-rich habitats since the lighter color can camouflage them from predators. Want to know more about Black Bears? Tidbit - China's Glass Bridge - Last month China opened the world's longest and highest GLASS-bottom bridge, stretching a quarter-of-a-mile across a canyon at a dizzying height of 980 feet. The Zhangjiajie Grand Canyon skywalk stretches 1410 feet across the Hunan province scenery. The dizzying footbridge, which spans between two cliffs in Zhangjiajie National Park opened the bridge for brave tourists in July. It dwarfs America's Grand Canyon Skywalk which sits 718 feet above ground. If that's not adventuresome enough for you, the Grand Canyon of Zhangjiajie skywalk will also offer the world's highest bungee jump, stealing the title from Macau Tower's 764foot (233 meter) high attraction. Check it out. Birds - The baby season is still on full speed. We have more Cardinals and Carolina Wrens. Tufted Titmouse and Black-capped Chickadees (really cute) have made their appearances. The American Goldfinches should soon be popping out. They don't begin nesting till July here. They use thistle down for their nest and wait for it to be available. 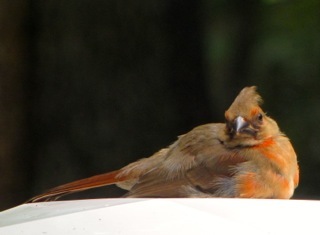 This juvenile female Cardinal was resting on the deck rail post cap waiting for Mom or Pop to bring some food. It looked so soft and beautiful. I just wanted to go out and scoop it up. Of course it wouldn't have allowed me to, nor would I want to give it such a scare at so early an age. It's quite the adventure watching baby birds learn the ropes on their first weeks out of the nest. The difference in parenting is obvious also and very interesting. My husband, Randal, saw a Cardinal carry nest material into the arborvitae bush that is outside the office window. Oh boy! That will be a treat. Last year we had a Gray Catbird nest outside the kitchen window and could get photos from only a foot away. The arborvitae is not right in front of the window though ... it's to the left which is the corner of the house. I don't disturb bird nests when they're nesting. Some bird species will abandon the nest and others will have birds that will fledge too soon. Better not to take a chance. The Gray Catbird didn't seem to mind my video taking at all while the nest building process was going on, nor did the female mind me talking to her through the window. This pair has been with us for a number of years, so I guess they knew we weren't predators. View the photos and videos of the Gray Catbird Nesting at Kitchen Window. I've seen the young Brown Thrashers at the suet feeder - not a typical sight. Don't know that I've ever seen one at the suet feeder. This year we decided to put suet out all summer instead of now and then for summer. Apparently it's been a big blessing to the birds here at Bluebird Cove. I've also seen young Cardinals at it. One big thrill is that we now have a House Wren nesting on the front porch frog birdhouse. The couple may have been here before but I've never seen it, although it does seem to ring in my head as a bird song I've heard in years past.We had been hearing this song and watching a bird scramble about faster than I could move my camera. I figured it was a warbler so I went through all the warbler songs that would be in Virginia in summer and found nothing. I never could get a photo of it until a couple weeks later when it landed on the front porch hanging frog birdhouse that we had put up for our Carolina Wrens. I thought there was a wren nest in the birdhouse already so didn't understand why it was so interested in it, although some info on the bird says it's aggressive, driving other birds from nest boxes. I hope the Carolina Wrens had already fledged. The House Wren is a small and compact bird, with a flat head and fairly long, curved beak which is why I was thinking warbler. Short-winged, often keeping its longish tail either cocked above the line of the body or slightly drooped. The pale eyebrow that is characteristic of so many wren species is much fainter in House Wrens, but seeing the backside sure made me pretty certain it was going to be a wren. While on the birdhouse, it had its tail cocked which was my first clue that it was a wren. 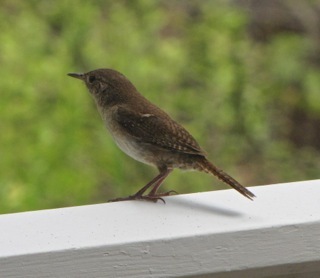 Compare this photo of the House Wren to the Carolina Wren. Tidbit - National Park Free Admission - One of our country’s greatest treasures is our National Park system, 405 extraordinary and beautiful places to explore and enjoy. Did you know that there are several free admission days for National Parks every year? This means that on certain days every year, the entrance fees are waived, making the National Park experience even more affordable than it already is! Take the opportunity to schedule time at a National Park this year! Upcoming dates are: August 25, 2015 for National Park Service’s 99th birthday, September. 26, 2015 for National Public Lands Day, and November 11, 2015 for Veterans Day. Check out a National Park near you! Spiritual - We need to get out from our days of operating at "people pressure" levels. We do what we think others want us to do, not what God wants. God made us for relationship. He wants to spend time with you. Much of what we do is driven by acceptance and desire to please man. Taking care of our family is ministry. Being home to make nutritious meals that offer prevention of a lot of diseases and self-image issues is certainly much more a ministry than many things that are on the To Do List. I'm not saying it's not a good thing to get involved with your children's schools or if a child WANTS TO play a sport. We need to pay individual attention to each of our children. Time schedules need to be worked without overloading. Consider the obligations you are making when you get your children involved in extra-curricular activities. Are you setting up a similar pattern for them to lead a stressed-out, over-committed life? God never intended us to be stressed out. Matter of fact the Bible tells us to be "anxious for nothing" (Phil. 4:6) and we certainly don't see that happening for many people. Stop the train and get off at the station and sit awhile. Ask God what's on your agenda that is not on His. We are to follow the Good Shepherd and we are told we DO hear His voice ... but in the clamor of busyness, we cannot. When you hear somebody talk about having the peace of God within them, does your mind form a question mark and thought of, "What would that be like?" When I was in the "scurrying mode" I would look at somebody that had peace and think they were just lazy or didn't care about important things. Also thought there was somebody "picking up" after them also [grin]. We all make choices of what we do with our lives and it truly is OUR choice, no matter how many excuses or people we blame for our busyness. And some believe that God put all of this on us. I didn't slow down until after I had many diseases so this is a passionate area for me to share with others in love. I'm not condemning you for trying to "get it all done." When you have no time for a pause you can't see another way of living, but I guarantee you if you will make time .... God will lead you into an amazing lifestyle of peace. Time with God is precious and delicious! Choose a spot that's quiet if you have to get up early to do it. You will have more strength when you find more joy in Jesus (Ps. 28:7) and certainly less health problems and headaches. Physical stress produces all kinds of physical pain and emotional issues. Gardening - Plant ID - I'm having a difficult time identifying a plant we have in our habitat. Have many plant field guides but can't track this down in any as a "for sure" identification. 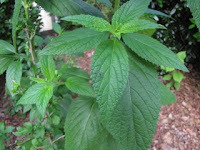 It looks very similar to nettle and has some spines on the stalks, but definitely not stinging ones or irritating at all. I've included a picture of how the leaves grow before they're sending out the flowering sprigs which have tiny little flowers on them which you can see from the picture on the right. I'd love to know what it is since there are little Sweat Bees all over it all the time. Being a pollinator plant I want to keep it. I don't like not knowing the names of the plants we have that are good. God gave everything a name through man on the earth so I believe names are important. It comes back each year in various places. The orange flower is the Blackberry Lily, so that's not part of the plant. * To respond to this plea: Click on either photo link or both for different views. If you can make a guess or know enter your comments below the title on one of the photos. You can also reply to the email if you get this newsletter in email format. There's a long list of good bugs for your garden. Learn what they look like and don't destroy the larvae stage if you see something that looks like a grub. The beneficial insects will take care of the bad guys for you. We used to have a problem with Japanese Beetles until we had so many birds in our habitat that for the past few years we've only seen a dozen or so the entire season. The problem with broad spectrum conventional pesticides is that they not only kill the “bad bugs,” they rub out the “good bugs,” too. A garden without natural predators means a world of insects gone wild. There’s nothing left to keep pest levels in check. In fact, chemicals can mean double trouble because although you wipe out the first wave of pests, the second wave (not the usual pest, but another insect moving into the area) can cause even greater losses than the insects you were trying to get rid of in the first place. It won't happen overnight or in one season ... but if you build a natural habitat the birds will work with you. 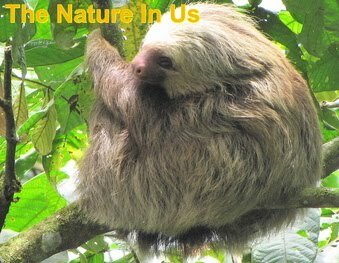 Consider also that birds eating fruit or seeds from a plant sprayed with poisons are affected also. 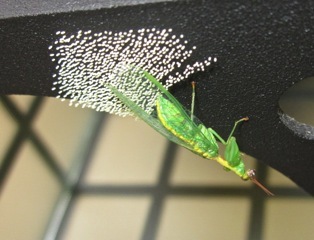 Here's a good article with a list of beneficial bugs and more info on how to attract them. 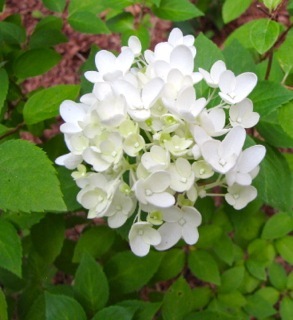 Need some natural alternatives for Japanese Beetles? Tidbit - Victory For Wildlife & Environment - Five years and two months after the devastating Deepwater Horizon disaster, the Justice Department and the five Gulf States announced the ground-shaking news that they had reached an $18.7 billion settlement with BP. $12.6 billion of the total is tied to environmental penalties and damages, with the remaining $6 billion headed to the Gulf states for economic damages. Taken together, these fines amount to the largest environmental penalty in U.S. history – which is only fitting for an event of this magnitude. Read more. 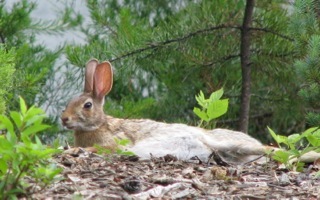 Critters - We love our bunnies here. They are so beautiful to watch and have such loving eyes. However, we enjoy our Black Rat Snakes here since they all keep our habitat in balance. That doesn't mean it's not hard to think about such things as this happening "out there somewhere." But it's the way it's going to be until Jesus returns and reigns. BUT! never underestimate the power of maternal instinct when a Black Rat Snake tries to make a meal of a baby rabbit. The mother rabbit is definitely not okay with this and attacks. Notice the fighting tactic of the mother rabbit. She grabs the snake with her teeth and then kicks with her powerful back legs that have feet equipped with needle sharp claws. No babies taken. View this video on Animal Planet.